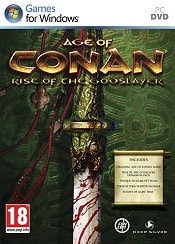 Rise of the Godslayer, the first expansion for Age of Conan: Hyborian Adventures has its release date set in stone. Funcom will launch it on May 11th, 2010. A preview of Age of Conan: Rise of the Godslayer at IGN gave them the chance to take a close look at the Chosain Province. Funcom today unveiled the development of Age of Conan: Rise of the Godslayer, the first expansion for Age of Conan: Hyborian Adventures.